I’ve found that when people visit San Francisco, it’s not unusual to hear them ask something like: “No seriously, is there a coffee shop on every block in this city?” Yes, San Francisco likes coffee. So do a lot of cities. Busy people thrive on coffee, especially in the tech industry. In fact, some would even say that a substantial amount of coffee is an essential ingredient to success. Phil Jaber would agree with that statement. 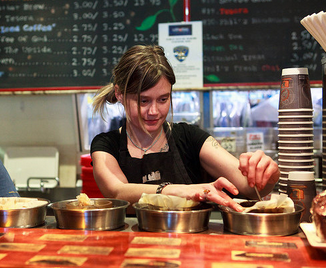 After a long love affair with the brew and decades spent testing out his own blends, in 2003, he founded Philz Coffee. What was started out of a corner grocery store has today grown into a budding coffee chain, with 13 stores now open and serving across the Bay Area — one of which you’ll find in Facebook’s headquarters. With all the coffee flowing through the Bay Area, Philz has stood out by combining varietals to make a bunch of fantastic tasting blends that are made without using a bunch of machinery. These blends were invented by Phil himself, and while they’re not patent-protected, they’re secret family recipes that you won’t find anywhere else, Phil’s son Jacob Jaber and current Philz CEO tells me. Philz is a proponent of the drip coffee method and, while that may sound like a “hipster” practice to those outside of the Bay, it’s pretty fantastic and has taken off in the Bay Area. Some connoisseurs swear to it as the only way to make and drink it. As a sign of just how hot the specialty coffee market is (at least in San Francisco), fellow Bay Area boutique coffee chain, Blue Bottle, took home $20 million in venture capital in October from Index Ventures’ Mike Volpi, True Ventures’ Tony Conrad and serial entrepreneur Bryan Meehan, among others. At the time, the coffee chain had expanded to ten stores of its own. When asked if Philz sees Blue Bottle as a competitor, Jaber said that he doesn’t — that the success of one is a positive for the other, and that the market for this kind of branded, personalized coffee experience is huge. In other words, he thinks there’s plenty of room for both to get enough people caffeinated to pay the electricity bills. 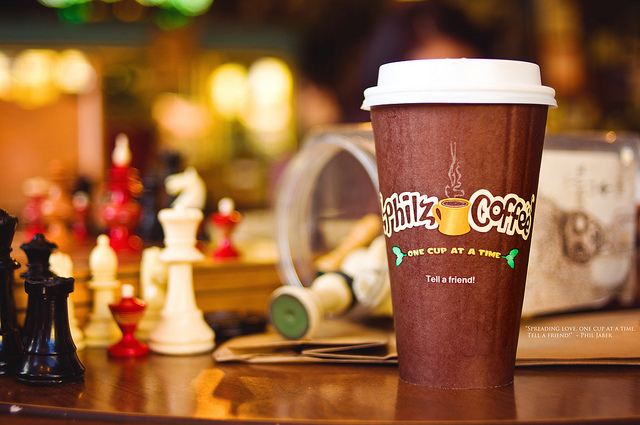 Today, Philz Coffee is adding some growth capital of its own. Although the company isn’t ready to disclose the exact amount, Jaber says that the company has raised an eight-figure round that’s on the lower end of the spectrum. From what we can gather from sources, it appears to be in the $15 to $25 million range. The lead investor in the round is Summit Partners, and as a result of the firm’s investment, Summit Managing Director Greg Goldfarb will be taking a seat on the startup’s board of directors. Jaber says that the company will also be looking to add a much smaller angel round on top of the growth equity investment, which they hope to close in the near future. While the angel investor list remains unclear, we were able to learn that it comes from entrepreneurs and executives in the consumer tech and retail spaces. When asked why they decided to partner with Summit, the CEO tells us that the firm understood Philz’ ethos better than anyone else, both intellectually and viscerally, which was important to them, especially as it’s a family business and a passion of both Jabers. Of course, it also helps that the father and son duo will retain control of the company, with Summit taking a minority interest rather than a controlling share. Philz’ name has slowly begun to spread of late, thanks to partnerships the company has struck with Virgin America, for example. If you’ve flown on a Virgin America flight recently and had a cup of coffee, you were drinking one of Philz’ blends. With the new capital in its coffers, the company will look to strike a handful of partnerships like that one to increase distribution and awareness among coffee fans. To that end, Philz is also going to begin expanding outside of the Bay Area. Plans are still in motion, but Jaber says that you’ll likely see Philz begin to expand in California first, and into the surrounding states. They want to start close to home first. So you won’t be seeing Philz in Prague any time soon, unfortunately, but LA? And you cities on the West Coast? Look out. Philz crazy tasty blends may end up on your streets sometime in the near future. For more, find Philz Coffee at home here.